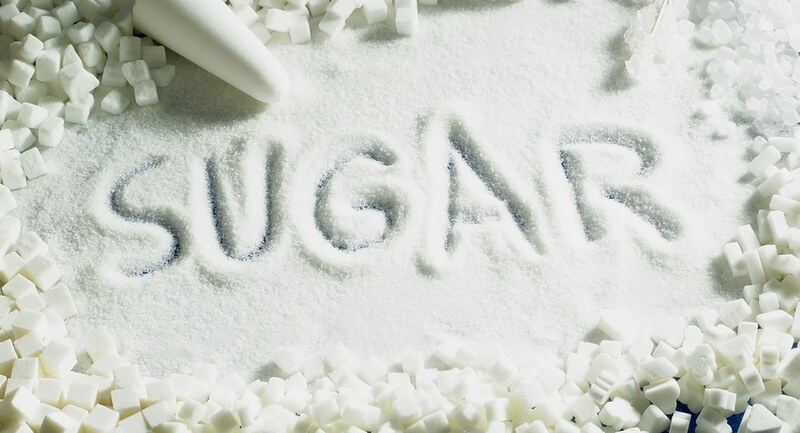 Research shows that reducing sources of sugar in your diet not only helps with weight loss, but can also reduce your risk for common health problems like type 2 diabetes, cancer, digestive problems, autoimmune conditions, and more. But where to begin? Start with cutting down on the obvious culprits – sweetened processed foods that are high in empty calories (such as sugar in your tea, fizzy drinks and cake, for example). One way of not consuming ‘hidden’ sugars which may be listed under other names such as fructose, dextrose, maltose, sucrose, ethyl maltol, lactose, or evaporated cane juice – is just to eat whole foods! Seeds, vegetables, herbs, spices, nuts and seeds are all lower in naturally occurring sugars compared to most grains, but no matter what, all whole foods will inevitably be a better choice than processed foods. Choose chopped vegetables to fill up on and to help reduce your body’s craving for sweeter foods. Low-fat products are generally higher in added sugars. Studies have shown that a large number of low-fat foods which are marketed as healthier options contain far more sugar than their full-fat equivalents. In short – ditch the low-fat and reap the rewards. While whole foods are always best, if you opt for a ‘product’, make sure that you check the label. You may be surprised by some of the common items which contain sugar. For example, in one of the most popular brands of soy sauce you’ll find sugar as the second ingredient! If you are a buying a plant-based milk always choose unsweetened. Ensuring sufficient consumption of foods rich in omega-3 may help to maintain a balanced blood sugar and reduce cravings for sweeter foods. Oily fish such as salmon contains good levels. Chia, flax, and hemp, ideal for vegans, are also high in fibre, which may help you to feel fuller for substantially longer than sugary foods can. Chromium is a mineral that may help to lower the body’s glycemic response and in so doing it can help reduce and even prevent sugar cravings. Seaweed has a high chromium content. Try blending up some Nori sheets to make seaweed salt. Alternatively, try adding some Spirulina powder to your smoothie. Artificial sweeteners have no calories, so do not leave you feeling satiated. If you are not satisfied you will need something else, and will end up consuming more calories than you would have done in the first place. Artificial sweeteners can also train the taste buds to want increasingly sweeter foods. More worryingly, some artificial sweeteners have been linked to cancer, nausea, digestive upset, impaired memory, headaches, mood disorders and other serious health concerns. Swap your corn based breakfast cereal for a bowl of porridge sprinkled with some chia seeds and fresh blueberries. Swap a mocha for a green tea. Swap crisps for some cashew nuts. Swap white foods for wholegrain options. Swap pasta for courgetti, or rice for cauliflower couscous. Nutritional Therapist Eva Killeen directs CNM’s Natural Chef and Vegan Natural Chef Diploma Courses.